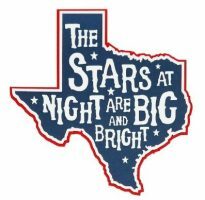 Let’s talk about my favorite state — Texas! Texas was a proud Republic before it became our 28th state in 1845. More people move to Texas than to any other state in the union, by a huge margin. Every year, half or more of the 10 fastest growing cities in the United are in Texas. Texas is also rejuvenating itself and growing internally – more births than deaths. Our demographics are changing with a large and vibrant Hispanic population, but every Texan’s love for this extraordinary state remains steadfast and loyal. Our politics run in long cycles. Talk about turning the state from “red” to “blue” or “purple” is just that – talk. Most Texans are generally conservative in our times and even in the days of Lyndon Baines Johnson there were two primary groups within the Democrat Party – one highly conservative and the other moderately liberal politically. The fiscally conservative “Blue Dog” Democrats usually dominated their party. In fact, many Texans, regardless of party affiliation, are fiscally conservative and this resonates in our biannual balanced budgets and massive “Rainy Day Fund.” Texas is currently the 10th largest economy in the world and it has led the nation in state export revenue since 2002. There is an undeniable and strong attraction about Texas. What’s that about? I believe it’s an acquired state of mind supported by all the many superlative quality of life indicators, business prosperity and healthy growth statistics. In Texas, we celebrate individual freedoms and rugged individualism. You can still come to Texas and make it big if you work hard and persevere. We don’t value living on the dole; instead, we place a focus on achievement, boot-strapping one’s self to greatness. If that happens, the spillover effect can be enormous. For every successful businessman who makes a small company big, that achievement will spawn many new jobs and some of the people who come and take those jobs will be successful in their own right. It’s a cycle of success. Texans are accused of having a nasal quality of speech. If we talk through our noses, it is because we don’t want to stop breathing Texas air while we talk. We really enjoy reciting the Texas pledge along with our U.S. pledge at official functions, Rotary meetings and other events throughout the state: “Honor the Texas flag; I pledge allegiance to thee, Texas, one state under God, one and indivisible.” I can’t say that other states don’t also have pledges to their state flags, but I’ve yet to see any with the same fervor that we have for ours. I fell in love with the state when I visited it on a business trip while my wife and I were both working at the Pentagon. While we were driving around the expansive Texas landscape on the way to our destination, I promptly got lost (uh, I mean just a bit disoriented). We stopped at a small restaurant in the country, and I did something that most men dislike doing – I asked for directions. It turned out a Texan sitting at a table knew where we wanted to go. He answered me by saying, “Well, just to show you that my heart’s on the right side, I’ll take you right there.” We followed him to our destination and saw his friendly Texas wave in the rear window of his pickup as he peeled off and went his own way. Now that’s some hospitality. I was hooked. Texas is truly a state of mind – a great one. We take pride in our state because it is leading the nation in almost every way. Texans have big hearts and will help other folks to the best of their ability. We are not pretentious or put on airs, regardless of position. We are regular Americans who love both state and country. We will defend what is ours; what we have worked hard to achieve and acquire. We are God-loving people with a natural respect for human spirituality. We are inclusive and will not shun anyone because of their perspectives or beliefs. If we think someone is wrong about something, we’ll simply say, “Oh bless his heart, he’s having trouble sorting out that one!” We are civil toward each other and respectful. *** Extra added article bonus (just because it’s Texas) – two more John Ben quotations! Texas is so much like heaven they don’t see the point in moving on – and of course, there is always the element of doubt as to which way they’d go. If the sacrifices look too great, remember the Alamo. If the road seems hard and rocky, and the disappointments many, remember the Alamo. And if your share of the load seems heavy, and you are looking for the help that never comes, remember the Alamo. Author: Bob Brescia serves as President & CEO of STEMSoftware – a leading Artificial Intelligence (Ai) software provider in the Oil & Gas industry. His latest book is Destination Greatness – Creating a New Americanism. Bob has a doctoral degree with distinction in Executive Leadership from The George Washington University. He also serves as Chairman of the Board at Basin PBS – West Texas public television. Please contact him at [email protected] or Twitter: @Robert_Brescia.